MANILA, Philippines - The Department of National Defense is planning to spend about P4.5 billion to arm the 12 lead-in fighter trainer jets it is seeking to acquire from South Korea. Defense department data show that the munitions for the fighter jets are not included in the aircraft acquisition program under the revised Armed Forces modernization law. The acquisition of munitions for the fighter jets will be divided into four phases – P4.33 billion for the first two and P139 million for the other two. Details of the items to be installed in the jets were not immediately available. Previous reports, however, said the aircraft being eyed can be armed with precision guided bombs and air-to-air and air-to-surface missiles. The defense department said the munitions may be acquired either through negotiated or public bidding. The mode of procurement depends on the availability of the items in the market. Military equipment being offered by several suppliers are normally acquired through public bidding, while specialized ones are usually acquired through negotiations. 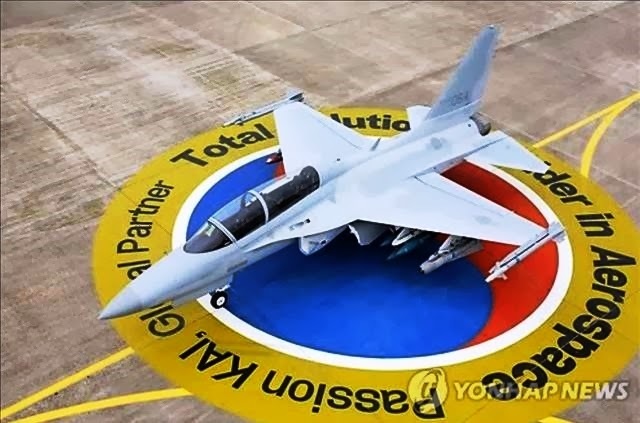 The government aims to shell out P18.9 billion to acquire 12 FA-50 jets from South Korea to improve the country’s territorial defense capabilities. Security officials are now negotiating with South Korean firm Korean Aerospace Industries (KAI) for the project. The government also aims to spend P135.99 million for the basing support systems for the fighter jets. Earlier, Defense Secretary Voltaire Gazmin said the delivery of the jets may start in June 2015. The defense department had asked Malacañang to allow the release of a 52-percent down payment to KAI. The law permits state agencies to pay 15- percent down payment to suppliers while the rest of the amount would be paid upon delivery of the goods. KAI wants the Philippines to pay 52- percent down payment to cover the aircraft manufacturing costs. Such payment scheme would require the approval of President Aquino. The acquisition of FA-50 jets is one of the big ticket items in the military’s multibillion-peso upgrade program.